The management team of MasterLube and employees from its store in downtown Billings, standing next to one of the “Walls of Fame.” Bill Simmons is in the back room, farthest to the right. Bill Simmons woke up one night in 1984, staring at the ceiling, his heart pounding. It wasn’t a nightmare or terrifying — it was liberating, and it changed his life. It changed his life because if it was what he was supposed to do, then he had to approach changing oil not just as a business, or something to do until something better else came along. It had to be his passion and singular focus. That’s not how MasterLube was born — it had started three years before that. That’s just how MasterLube came to life. 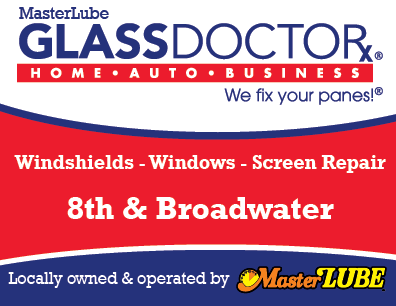 For MasterLube’s customers, getting great service and oil change or car wash is a service. For Simmons, changing oil is a way of changing lives. That transformation begins at training. “I ask (our employees), how many of you when you were little kids would pray every night, ‘God, please someday, let me change oil in people’s cars?’ That’s always followed by a burst of laughter. It’s recognizing the obvious: No one comes to us with the intent of working forever at a lube center,” Simmons said. It sounds funny, but that’s why the business has turned into a mission. Simmons and MasterLube hire with the expectation that their staff will leave — sometimes quickly. The average time spent at a lube center is less than 100 days, Simmons pointed out. It’s not that MasterLube, Simmons or his employees believe they’re better, just different. And, it’s a model that might be used to do more than just change oil. During the employee’s stint, sometimes spanning just weeks, Simmons and the MasterLube staff help them answer the question: Who do you want to be? And they teach employees lessons that go beyond the service bay. “It has to have value in their home life,” Simmons said. For example, employees learn about petroleum products, often knowing as much about the products as the sales reps who float in and out. They don’t teach the employees so they can wax conversational about the benefits of a synthetic blend. Simmons helps them realize this simple point: If you can become a master in a subject you may not care about — for example, oil — just imagine what you can learn when you study your passion. An employee wall in each of the MasterLube’s five area locations is a testament to employees who have found their passion and a founder who revels in their success. Simmons may be the only person who curates a public collection of former employees for customers to see. He routinely rejoices in his employees finding new careers. Changing oil, Simmons said, is a means. Changing lives is the end. “Don’t get trapped into thinking the means is the end,” Simmons said. And so sometimes the training means teaching that lesson in a tangible way — like having the group gather around the conference table while one of them lays on it, arms folded, eyes closed. The exercise is a mock funeral, and the point is to have people say what they would if it were real. What’s important to Simmons aren’t just the photos on the wall, it’s their stories behind the smiling faces. It started one night when Simmons drove past his West End store, formerly located on 24th Street West. He noticed a bunch of hoods in the parking lot, loitering, up to no good probably. He pulled into the parking lot. His wife, Marilyn, asked him not to get out of the car. They had just had a nice evening at the movies — you know, don’t ruin it. She probably also knew it was a pointless request. And so Hugo with long hair, a trench coat, black gloves with the fingers cut out, and a black shirt arrived on time, just as Simmons had commanded. For two years, Hugo was assigned to cleaning cars. Simmons just couldn’t put him out on the floor, close to customers. How could they trust this young man who looked more the part of a bandit than luber? Simmons often took him to coffee and lunch, reminding Hugo he would remain behind-the-scenes as long as he made customers feel as if they had to grab all the pennies from the cup holders in the car before they went to the lobby to wait. Another time, Simmons drove Hugo down the street to a diner for coffee. He was fed up watching Hugo’s stubborness stop him from capitalizing on his talent. Hugo looked the part of a punk. Hugo wouldn’t let Simmons forget about the promise he made to him — and by extension, to the other employees he hired. Today, Hugo is a career Navy sailor, married with several children. Or maybe it was that grandmother who came in once. After pulling her car into a bay at a MasterLube store, she handed him a folded piece of paper. It was the MasterLube mission statement that her granddaughter had gotten when she worked there. The grandmother said that piece of paper changed her granddaughter’s life because she realized her purpose.